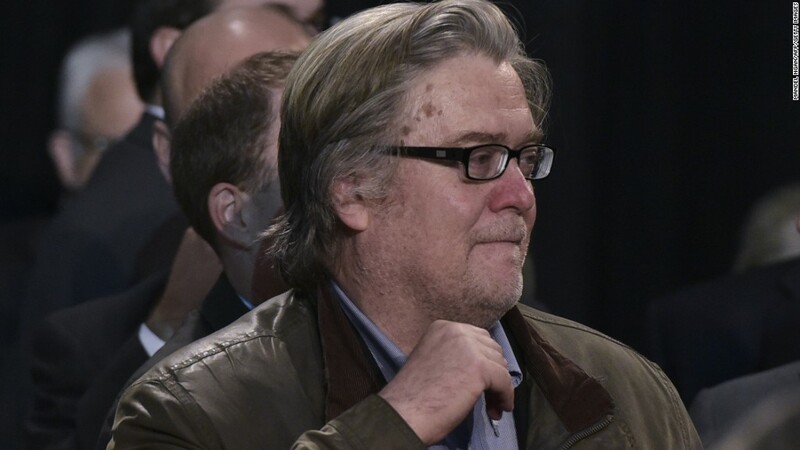 Bannon, who President-elect Donald Trump has tapped as his chief strategist and senior counselor, is the former executive chairman of Brietbart News and a Harvard Business School graduate. Now 685 women and counting, all alumnae and current HBS students, have signed an anti-Bannon letter organized by 2015 graduate Lauren Rourke, 29. "While we do not always agree on politics, we can agree on this: We unequivocally disavow the appointment of our fellow Harvard Business School alumnus, Steve Bannon, as chief strategist and senior counselor to President-elect Trump," the letter reads. Bannon presided over Brietbart before taking leave to join the Trump campaign as its CEO in August. Among headlines published on the site, "Birth Control Makes Women Unattractive and Crazy" and "Would you rather your child had feminism or cancer?" In the letter, the women write that Bannon has been "described as one of the chief architects of the alt-right movement, a movement that preaches white nationalism, racism, misogyny and hatred." They call on Trump to use his power to appoint unifying figures: "We believe that women in the highest positions of power have an obligation to ensure that the mistreatment of women is not blindly accepted and condoned -- to use our voice, and our power, to combat the legitimization of hate." The letter also calls on Harvard Business School to condemn Bannon. "We are a community that respects debate but it's debate that has to be done respectfully," Rourke said. "When an alumni is personally and viciously attacking women and other alums, it is HBS' responsibility to say something." The letter was published in the New York Times' opinion section on Friday afternoon. "Our institution has had the honor of being associated with great American politicians and leaders," the letter states. "Steve Bannon does not deserve a place alongside them on the mantle of Harvard Business School's legacy." Rourke said the women who've signed it so far span about 35 different HBS classes. And, it's piqued the interest of HBS men. "We've gotten a lot of requests from male classmates who were interested in signing, too," Rourke added. An email to the Trump transition team seeking comment from Bannon was not immediately replied to.